The Nissan Rogue was redesigned for 2015, and one look at its fluid exterior design, aggressive taillights, and striking interior will make you want one for yourself. The courteous sales staff at Wallace Nissan in Stuart, FL, serving the communities of Port St. Lucie, Palm City, White City and Jupiter, FL, want to make you dream come true. Come check out our huge inventory of Rogues in stock. You'll be the envy of all your neighbors when you park this compact crossover in your driveway tonight! Let's see how the 2015 Nissan Rogue compares with the Honda CR-V. In the increasingly crowded compact SUV (sometimes called crossover) market, fuel economy, engine, and standard features are often neck and neck. So given that all parts are equal (or close thereof), then oftentimes it comes down to budget and value. And this is where the 2015 Nissan Rogue wins. With a starting price of $23,040 for the base S model, you get such features as a rear lip spoiler, LED daytime running lights, turn signals in outside mirrors, a security system, and 17-inch wheels. 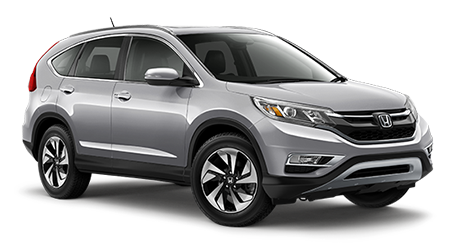 The CR-V's higher starting price of $23,445 comes with none of the above exterior features of the Rogue. So, it's clear who's going to benefit you when it comes to standard features and "cash in your pocket" game. With over a $400 lesser MSRP than the CR-V, the 2015 Nissan Rogue should be your choice in compact SUVs. 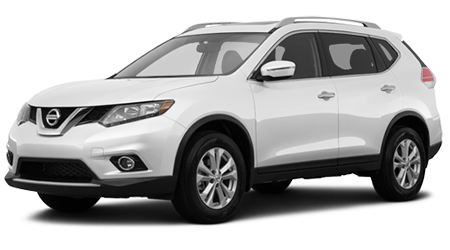 The 2015 Nissan Rogue comes with one available engine -- a 2.5-liter DOHC 16-valve 4-cylinder with 170 hp and a175 pounds of torque. 2.5L with 184 hp. It has a standard 6-speed automatic transmission for both the FWD and AWD models. On the CR-V, you'll also only find one engine -- a 2.4L Inline 4 with 185 horsepower with CVT automatic transmission. AWD is also available as an option. Fuel efficiency is about equal with an EPA-estimated combined 28 mpg for the 2015 Rogue and 29 for the CR-V. So all in, when it comes to power and performance, both these small SUV's just about equal. Many car reviewers rank the 2015 Nissan Rogue as having better interior quality than the CR-V. On the base 2015 Rogue, in addition to a sleek, well-sculpted dash and center console you get an audio system with a 5-inch color display, which gives a richness to the cabin. No LCD display is available on the base CR-V LX.